hi! this is jazzy's corner! this corner will be bigger and bigger. jazzy:Some of these boys will visit Norway in March for a festival. maymama: do you wear such as their wearing? when dancing? 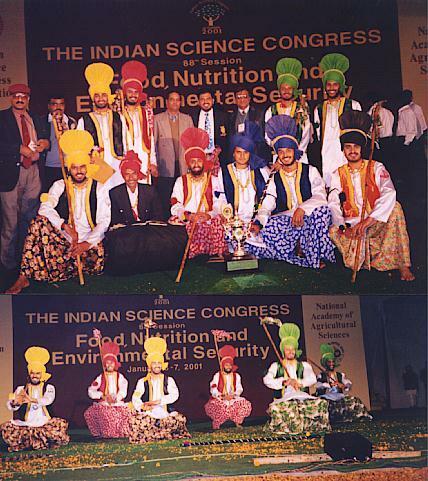 jazzy: Indian Science Congress was inaugurated by Prime Minister of India in New Delhi last month. This troupe had gone there to perform on the inaugral ceremony. We are trying to visit Japan towards the end of this year in some cultural festival. My son cleared his SAT for entry into USA with good score. ,...My wife's team stood first in folk dances today. 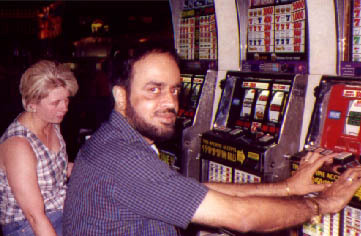 At a casino in Las Vegas, USA. this one is also in this June. This was taken in USA when I went there in June. It is Burkley College, Newyork. I m an allopathic doctor by qualification. Then shifted to Civil Services. I practise Yoga, swimming & folk dance as hobby. My motto is:" Take the life as it comes." my age? almost as same as maymama! hahaha!! !